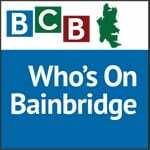 In this 25-minute podcast interview, we meet Matthew Coates, the local architect who designed the Bainbridge Island Museum of Art, and hear about the passion he developed from his early childhood for the environment and green building. Before “sustainable” was a buzzword; before anyone had thought of “building green,” a young Matthew Coates was growing up on a pristine lake with drinkable water in Michigan’s northern woodlands. Over time, as the lake became a popular vacation spot and more people built bigger houses and brought their motorboats, Matthew saw first-hand the devastating impact of development and pollution on the water and the surrounding woods. Intuitively understanding the fragility of the environment from an early age, he became passionate about protecting the beauty of nature, and embarked upon a career which would allow him to pursue that passion. He has been winning awards for his sustainable designs since graduate school, achieving international acclaim in 2005 by winning the “Cradle to Cradle (C2C)” Home Design Competition for the most sustainable home design of the future. 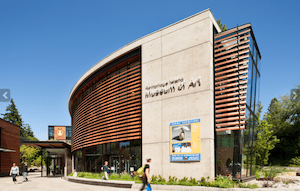 Bainbridge Island Museum of Art, a candidate for green-built LEED NC Gold certification, was designed by Matthew Coates. Click image to enlarge. Photo Credit: Coates Design. In this interview, Matthew describes in moving terms what it was like growing up on Torch Lake and talks about his deliberate, thoughtful choice to make Bainbridge Island his home, his place of work, and his community. He then goes on to explain that sustainability is about balancing growth with sustaining a community and its culture: it’s not just what an architect designs, but where and how structures are placed, and how those structures perform in relation to the environment. 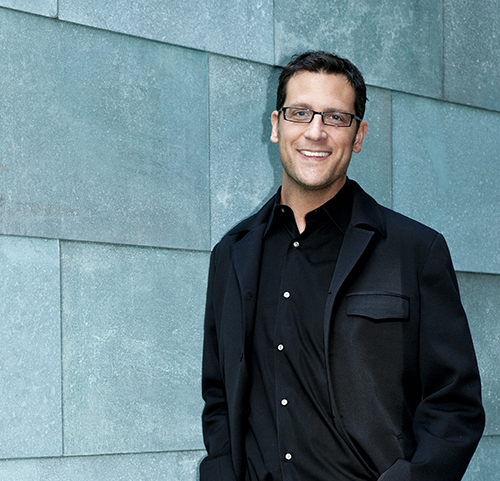 Whether designing public buildings or private homes, Matthew’s commitment to the design of sustainable and responsible architecture in the context of a viable and productive community repeatedly informs his work — and we can hear his passion for responsible architecture in this podcast. Credits: BCB host: Channie Peters; BCB audio editor: Barry Peters; BCB social media publishers: Diane Walker and Barry Peters.